The latest Marvel venture, ‘Infinity War’ opened worldwide this month. The positive reaction of the public is breaking all records. 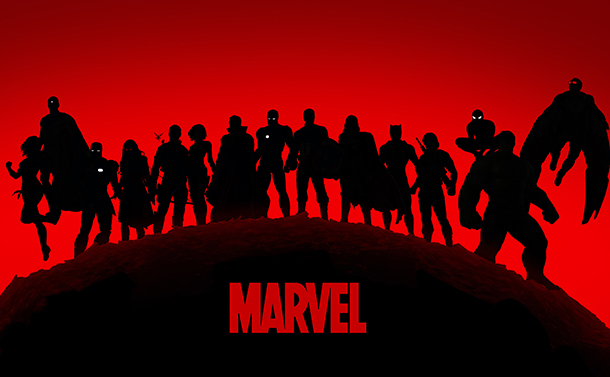 One of the key factors that works in favor of the MCU (Marvel Cinematic Universe) is that it has done justice to its multiple characters by allowing them access to their many gadgets and technology that they were famous for back in the comic books timeline. This has resulted in the comic book fans to come out in hordes to watch on screen their heroes as they engage with Thanos. Call it manipulation of emotions or simply the attraction of watching our favorite superheroes on screen with their gadgets and gizmos, is keeping their diehard fans happy. Inversely it is also creating a new generation of young new fans who consider them ‘amazing’ and ‘out of this world’! MCU in the last 10 years. The one that started it all in the MCU! Kudos by the truck load to the ingenuity shown by Tony Stark while trapped in a cave with primitive tools at his disposal. The original Iron Man suit was known as the Mark I armor. It had a bullet resistant armor with explosive devices, a flamethrower attached to it. Furthermore, it could even fly a short distance. It also served as an inspiration for many of Stark’s future suits. It was made from scrap metal and then once Tony managed to make his escape, he eventually upgraded to the Mark III armor which was red and gold in color. Over the years in the MCU, the character of Ironman has upgraded his suit into many different formats. Ranging from the basic Mark I to Bleeding Edge (or Mark 37) in ‘Infinity War’, he has changed and adapted many technologies within his suit. In the recent Mark 37, it was the use of nanotechnology which allowed him to protect and change himself without facing the many different challenges such as waiting for the suit to reach him from their location to carrying it around in a suitcase (as seen in ‘Iron Man 2’) The most intriguing thing about Iron Man’s suit in comparison to all the other suits of armor is that It is enabled with JARVIS and later by Friday. These two intelligent being enable the suit with telephone calls, temperature around Tony and even hand out snarky comments about his person. It is because of this simple reason that JARVIS especially has managed to find its place as number 2 on our list of top technologies in MCU. Just A Rather Very Intelligent System. Simply put, Jarvis. Named as a homage to Edwin Jarvis, the loyal household butler of the Stark family. Jarvis is basically an AI entity that resides within the smart home of Tony Stark. From taking out the thrash (more like sarcastically nudging Tony’s conquests out the door) to giving him an estimate of distance covered, the percentage of charge in Tony’s Iron Man suit and most importantly keeping Tony grounded, Jarvis is the driving force behind the iconic Iron Man. Ultron destroyed Jarvis but, it is then upgraded into Vision. Looking for a replacement for Jarvis, Tony Stark created another AI by the name of FRIDAY. Now, Friday may have helped save Spider Man in ‘Spider Man: Homecoming’ but, nothing be even remotely compares to the awesomeness that is Jarvis. What started as a lab experiment, the EXO 7 Falcon wings where engineering marvels created by the Air National Guard and used by Sam Wilson before his voluntary retirement from the forces. Upon his further engagement with the Avengers, Captain America and Black Widow acquired it from the labs to aid them in fighting Hydra in ‘Captain America: The Winter Soldier’. It is a combination of lead and carbon fiber. This device enables Sam Wilson to fly and apart from that, even give the wearer strength augmentation. It even has collapsible weapon systems with which it becomes easy for the wearer to target and fire while flight borne. This amazing piece of technology has been further enhanced in ‘Infinity War’ by T’Challa and Shuri who gave it a Vibranium micro weave for further durability. ‘Guardians of the Galaxy’ features many of technologies that are essentially future tech. The most prominent in it is not the Star Lord’s numerous gadgets but Yondu’s Yaka Arrow Controller. This arrow was controlled psionically (paranormal phenomena in relation to the application of electronics) through a cerebral implant. This arrow can change its direction (but not speed) in response to certain high-pitched whistle like sounds. This seemingly innocent looking arrow has the potential to take down entire platoons with one whistle note. Is it not the ultimate AI weapon ever created? Ah Wakanda! This piece of technology comes from the advanced country of Wakanda which has quarries filled with Vibranium which they have used to develop their county and technology. The most utilitarian of all their creations is the Kimoyo Beads. Used primarily for communication purposes, these metallic looking beads are tied on an infant’s wrist since the time of its birth as its provides. Over time, an AV bead and a communication bead is added to it. It can be used for scanning a product, being or even the ecosystem. In the ‘Infinity Wars’ Shuri uses her beads to scan Vision’s mind stone. It is one of the most innovative technologies in the entire Marvel Universe. There you have it folks. The top 5 technologies in the Marvel Cinematic Universe. Do note that we haven’t referred to the comic books as the source as there are many origins that have been changed by Marvel productions by taking cinematic liberties. Do share your views on the same by dropping us a line in the comments section below.